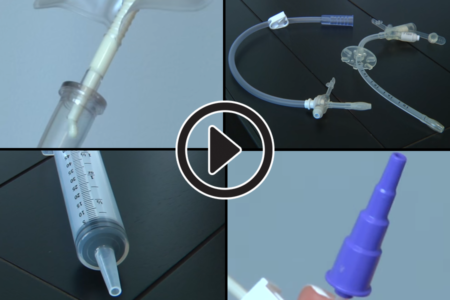 In the video above, you can watch Amy Long Carerra, Shield HealthCare’s Registered Dietitian’s, video about how to bolus feed / syringe feed. 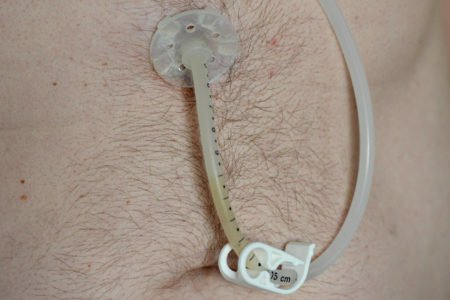 Bolus feeding is a type of feeding method using a syringe to deliver formula through your feeding tube. Click here to read the article about How to Bolus Feed. Bolus feeding is a type of feeding in which you use a syringe to deliver formula through your feeding tube. 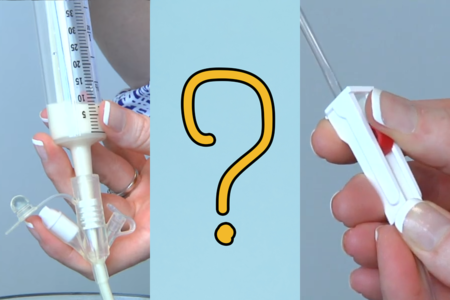 It may also be called syringe feeding or gravity feeding, because you use a syringe to allow the formula to flow, by gravity, down your feeding tube. Most people will take a bolus (or a “meal” of formula) about every three hours, and each feeding should take about 20 minutes. This type of feeding allows you to have more freedom in your daily activities. Always wash your hands before handling your tube, or any supplies, and be sure to clean and air-dry the supplies afterward. You can also find more information about how to bolus feed through the Oley Foundation and the Feeding Tube Awareness Foundation. My husband had a TIA stroke in August of this year. He has a feeding tube in his stomach. He’s attached to his feeding machine for 18 hours, while he gets 5 cans of glucerna at 1.5 a day. I have noticed that he has started losing weight. can I feed him protein powder through his feeding tube using a syringe. Hi Vicki, thank you for your question! Technically, you can administer protein powder with water into his feeding tube but you should check with his dietitian or doctor first. If he’s losing weight he might need more total calories, such as another 1/2-1 can of Glucerna 1.5 daily, which would require a change to his current prescription. His health care providers should definitely be advised that he is losing weight. Your home medical supply company may be able to help you with a recommendation from their dietitian and a call to the doctor to have a change approved. Hope that helps! Hi Michael, thanks for your question. My first suggestion is for your wife to see her primary doctor or gastroenterologist. 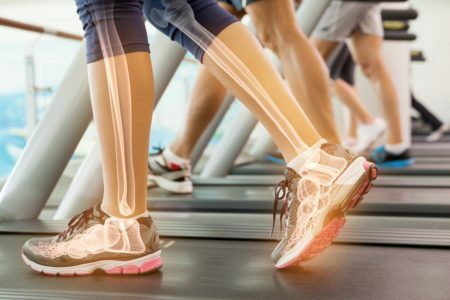 If she is looking unhealthy as you say, there may be some underlying cause that requires medical attention. They might also refer her to a local dietitian with knowledge of tube feeding, who can review her history. I’d want to know what she is getting through her tube currently and how well it’s meeting her individual needs. I can’t make a specific recommendation to give her orange juice or V8 without knowing more about her but generally, real foods pureed to a smooth, thin consistency can be added through a feeding tube as long as the tube is flushed with water afterward. A high-quality blender is usually necessary to prevent clogging of the feeding tube. 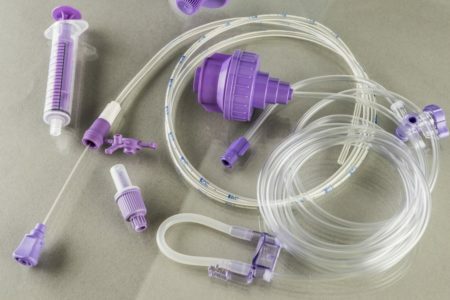 Check out the tips and resources in the article, What You Should Know if You’re Considering Homemade Tube Feeding for Your Child. It can apply to adults, too. 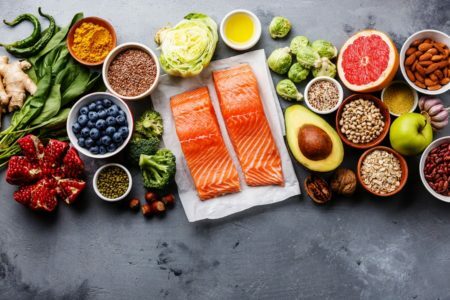 The bottom line is that yes, you may be able to add some whole foods to her diet, but what and how much should be evaluated by a registered dietitian. 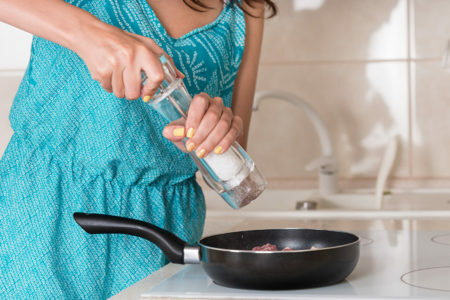 If your doctor can’t recommend one, you can search for one in your area here: http://www.eatright.org/find-an-expert. 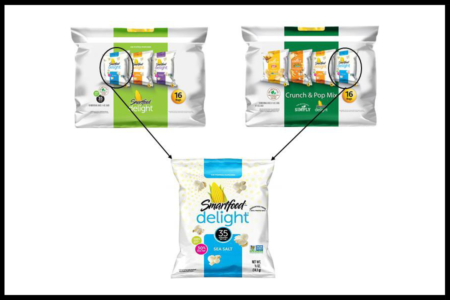 You may also speak with your doctor or dietitian about switching to a whole foods-based formula, such as Nestle Compleat, or Real Food Blends. If you’d like to discuss further, you can email me directly at rd@shieldhealthcare.com. Can we use destilled water for feeding and leave the outside? Hi Julie, thank you for your question! Tap water or bottled water should be adequate for flushing the tube and staying hydrated for most people on tube feeding. Tap water from your sink meets the Environmental Protection Agency regulations for drinking water and is consistent with the World Health Organization’s guidelines for water safety. 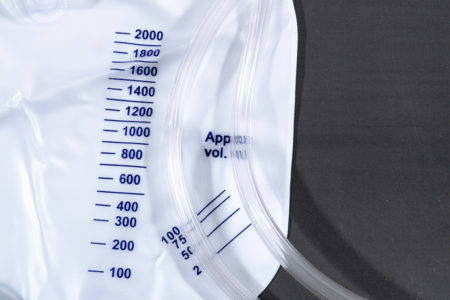 For those with a J-tube (feeding into the small intestine), compromised immune systems i.e., undergoing cancer treatment or critical illness, sterile/purified water may be used. My sister syringe feeds and her external tubing stays attached. Any suggestions on how to keep it from hanging down when not in use or to minimize exposure under her clothes? Hi there, than you for your question! 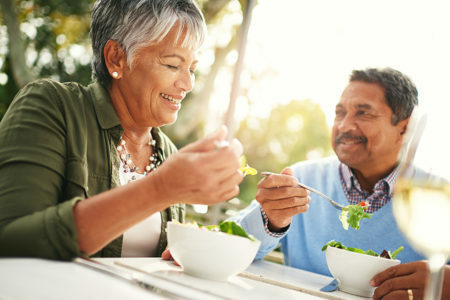 Here’s an informative article on how to secure a gtube: http://www.shieldhealthcare.com/community/nutrition/2013/06/18/how-to-secure-a-g-tube/. Hi Tammy, thanks for your question. As long as you keep any opened formula refrigerated for 24 hours or less, you can prepare the syringes ahead of time.